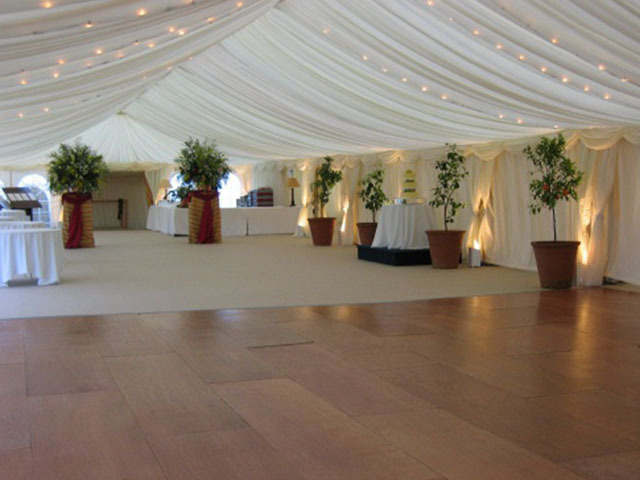 Inner wall linings are what really sets your marquee off. 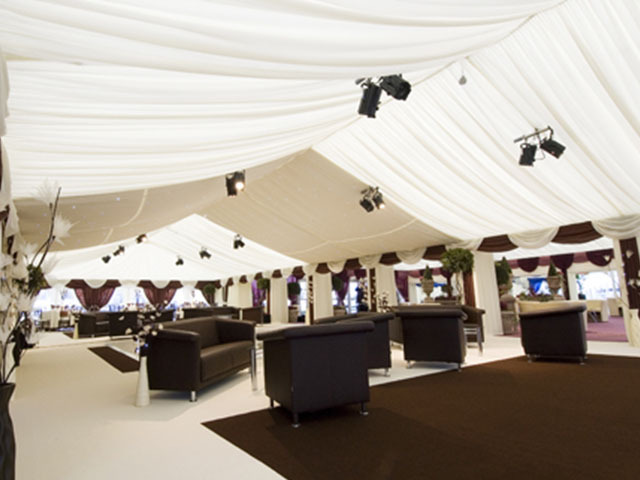 Our ivory silk drapes are a fantastic way of creating that timeless classic marquee look. 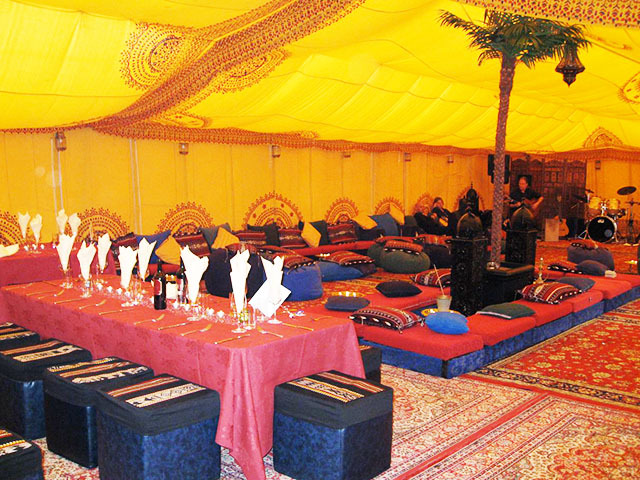 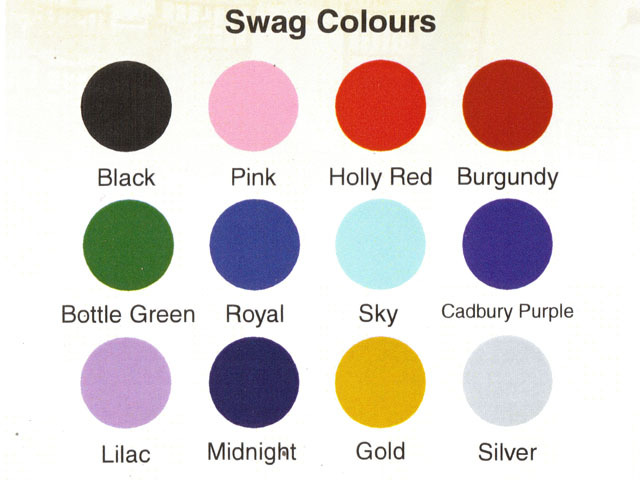 Coloured drapes and swags can be added to match the colour of chairs and carpets. 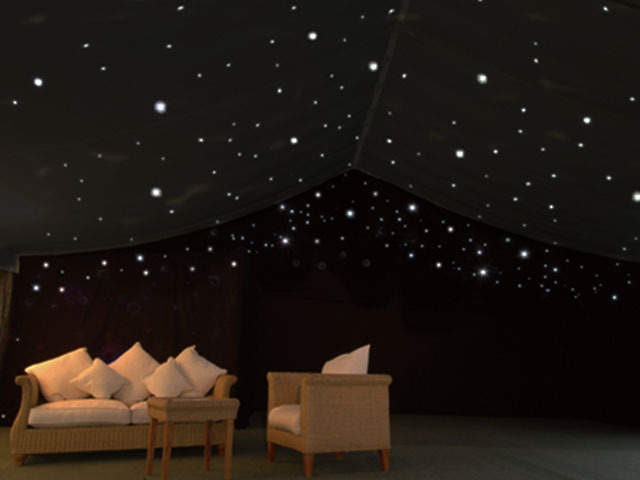 Star cloth lining is a black out lining with static or twinkling LED lights fitted to give you the “star” effect. 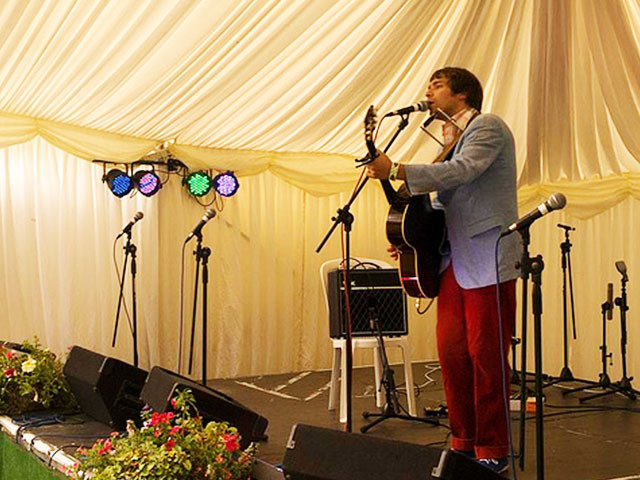 Perfect if you are theming your event in a jazz club or disco style.